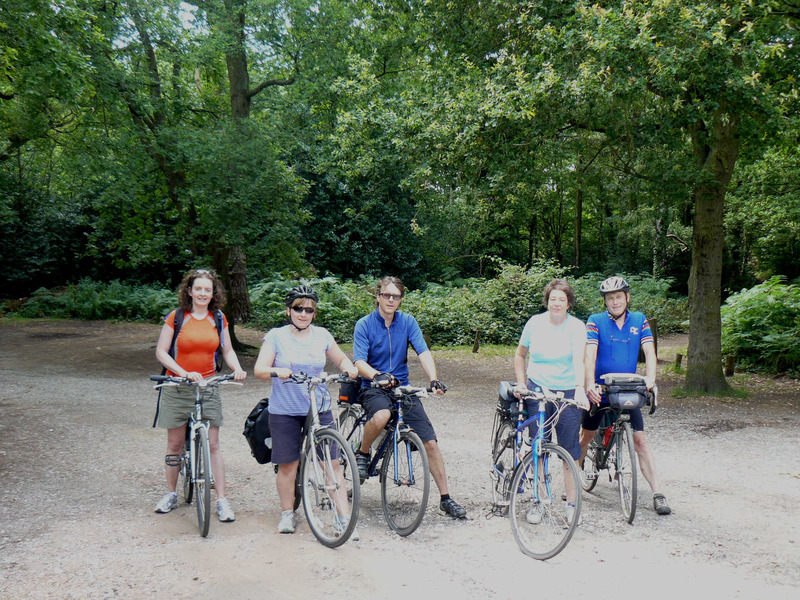 Richmond Cycling Campaign organises two leisure rides every month, where the emphasis is getting out on your bike in the fresh air, having some fun and seeing the sights of the Borough and beyond. They’re not fast paced, we don’t leave anyone behind (well, not intentionally!) and you certainly don’t need to wear lycra to join in! You can use any type of bike (ok, within reason, a penny farthing might struggle on some of the routes) and if its wet, well we’ll just stay in the pub longer to dry off. The first type of ride, Rides for Everyone, are exactly that. These tend to last up to two hours and often have a coffee stop along the way. They’re a great way to find new, hidden corners of the Borough that you would never know existed on your doorstep. 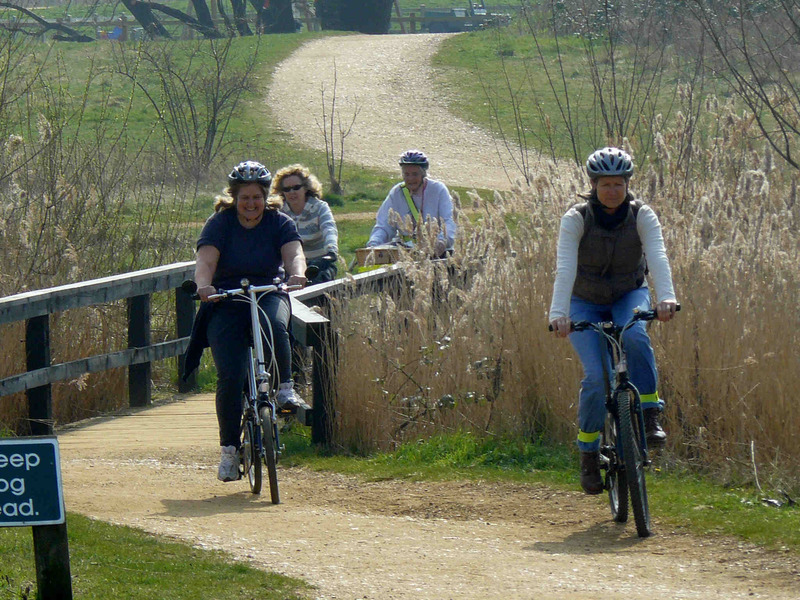 Families are especially welcome and our routes are on quiet roads and cycle paths. The second type of ride, Rides for Explorers, are a day out on the bike with lunch at a pub along the way, getting back around 3pm. They’re still easy paced and they’re a great way to go that little bit further and escape the Borough. Some of them even take the train out to see what life is like beyond the M25! 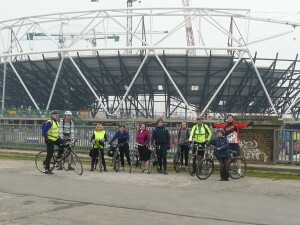 (the picture below is from our visit to the Olympic site) Again, the routes chosen keep to the quieter roads. Bring a lock, and in winter, it’s advisable to have some lights just in case there are any delays on the way back. A spare inner tube and a pump to fit it would help in case of punctures. We also organise feeder rides to the annual London Sky Ride events. Last year we had over 200 riders, make their way from Richmond Green to central London along with us – it was quite a sight. Click on the links below to find out more details of when the next rides are, and come along, we’re always pleased to see new faces. You can also check out our list of over 70 cycle routes in and around the Borough or use the Richmond Cyclestreets journey planner for bikes. For 5 recommended borough routes see the Explore Richmond by Bike page. 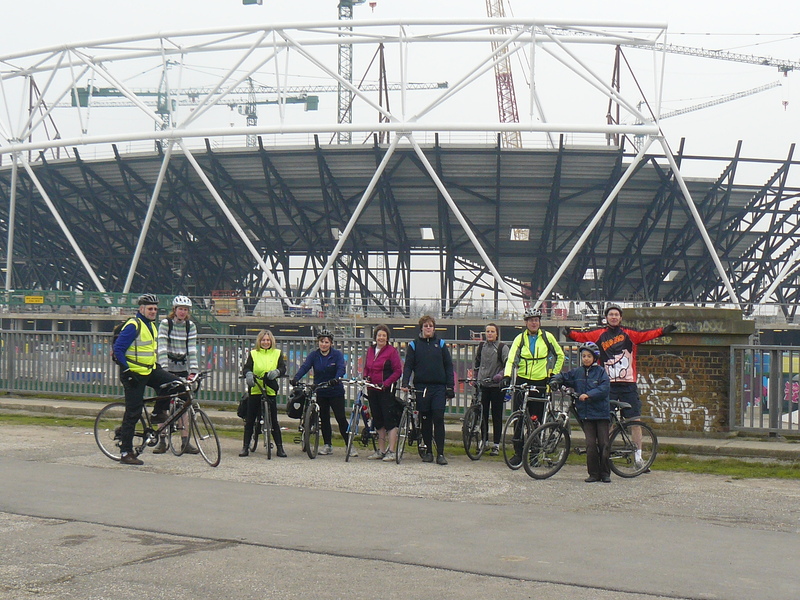 Our neighbours, Kingston Cycling Campaign, also organise leisure rides and are well worth checking out – Kingston Cycling Campaign Rides. This entry was posted in All Posts by Paul Luton. Bookmark the permalink.